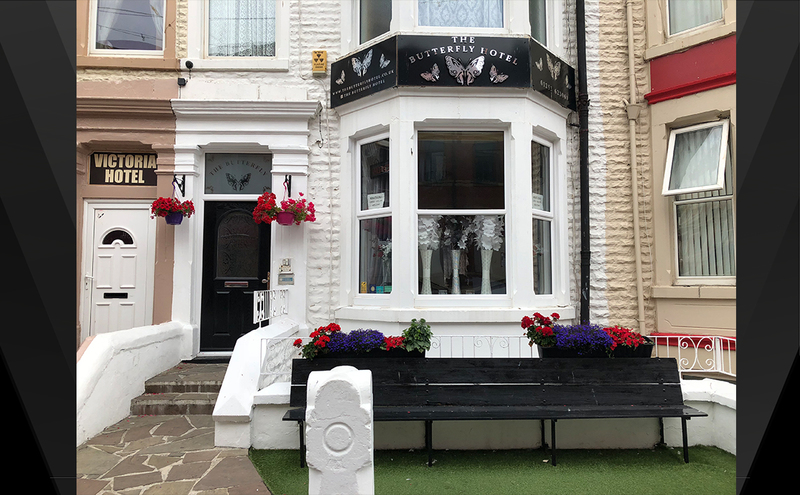 The Butterfly Hotel is situated in the town center of Blackpool. We offer free wifi in public areas and the privacy and comfort you would expect along with a wonderful, homely atmosphere. 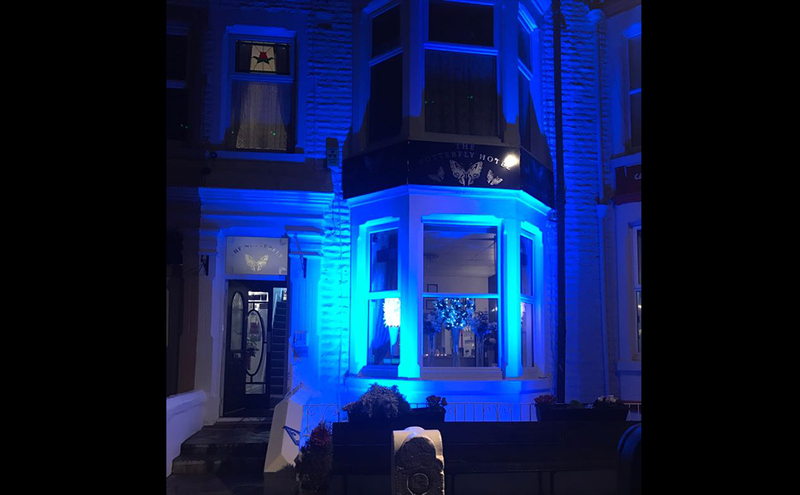 This town center hotel is within walking distance to all the main attractions –Blackpool Tower, The Sealife Center, Madame Tussauds. All other attractions are easily accessible by Blackpool Transport. Due to our town center location we are unable to provide car parking facilities. However, there is one of Blackpool's largest 24 hour car parking areas, Central Car Park, within walking distance to our hotel. 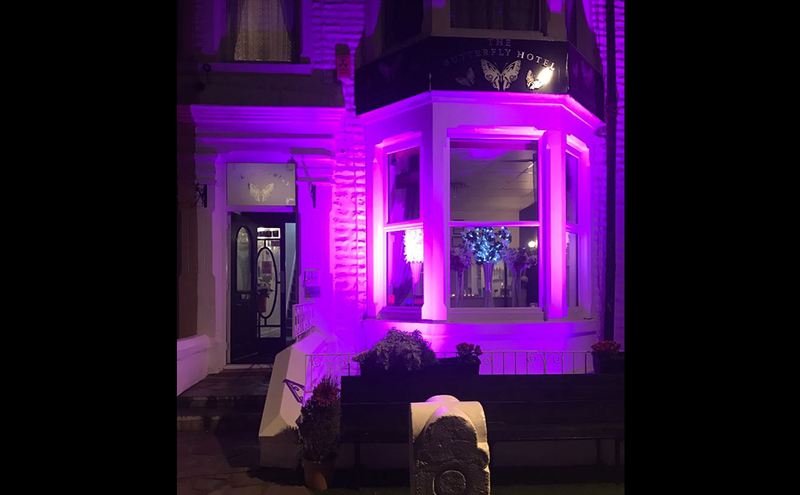 If you are looking for a fun atmosphere from a central Blackpool hotel, located close to the promenade and sea front, then The Butterfly Hotel is perfect for you. 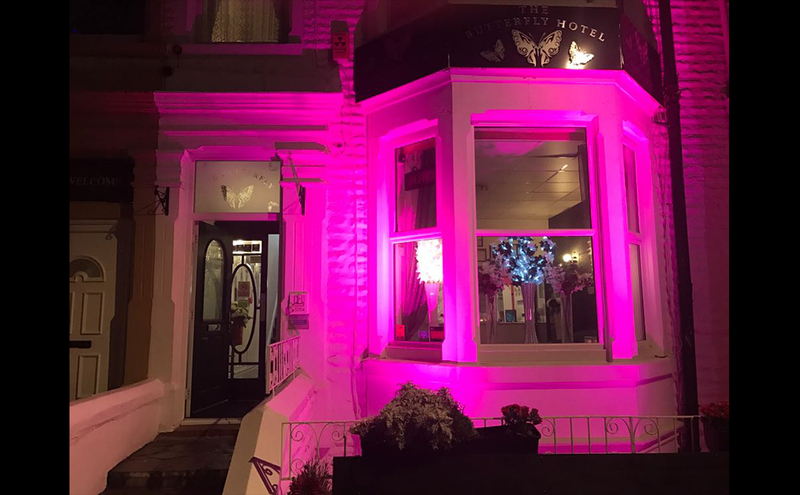 Whether you're celebrating a hen or stag do, a birthday or just fancy a party weekend away or want a relaxing time with your partner on a mid-week break, we provide the best accommodation and location for a great holiday. We have a late licensed bar featuring amazing drink offers and Karaoke. Alongside the bar we also have our brilliant games room with a pool table, fruit machines, darts, table-football, punch-machine and beer pong. On occasions we have live entertainment to play your favourite music so you can dance the night away. 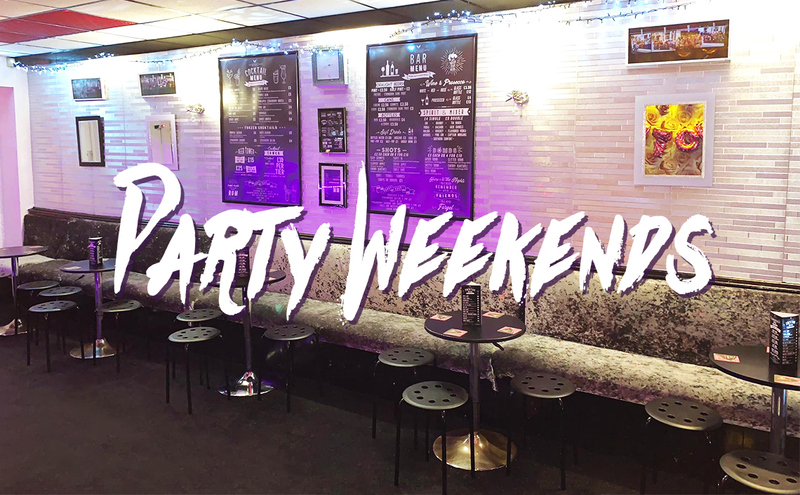 Whether it's a birthday, special event, a stag and hen do or you simply fancy a fun-filled weekend away, The Butterfly Hotel specializes in providing the best entertainment for the greatest party weekends that you won't forget. 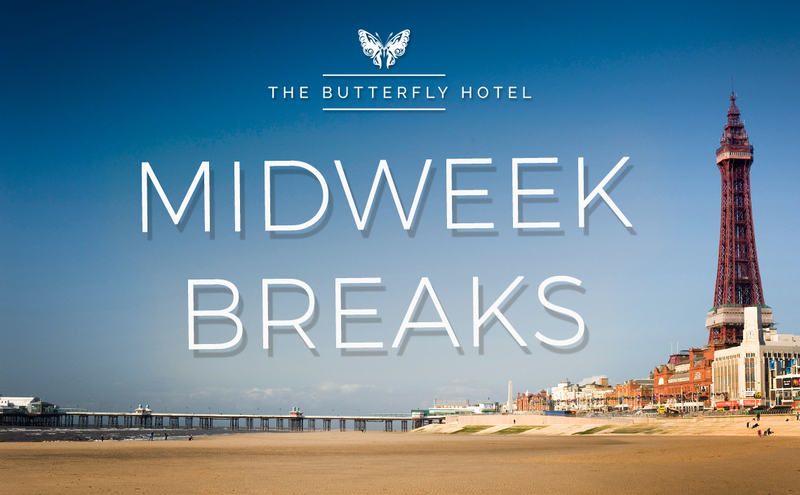 If it's a midweek break you need, The Butterfly Hotel has all the facilities to ensure you have a comfortable and pleasant stay. We are situated close to all the local attractions and the best Blackpool has to offer. 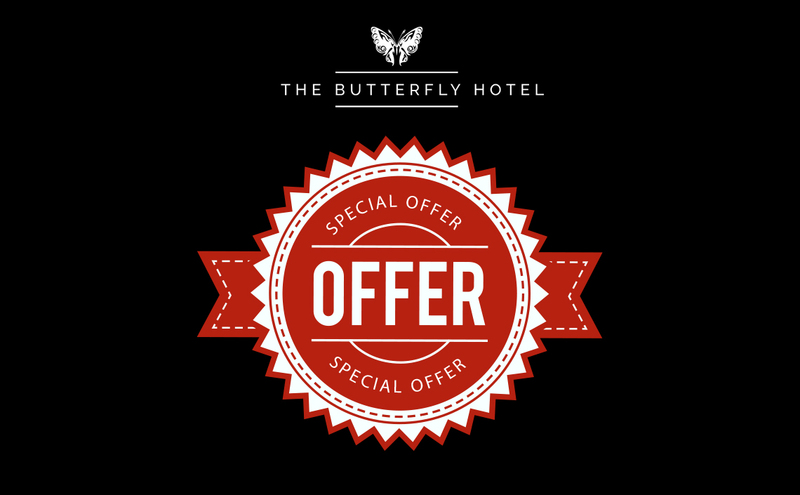 The Butterfly hotel prides itself on offering great value to our new and our regular visitors. Have a look at our latest offers to get the best value on your break. 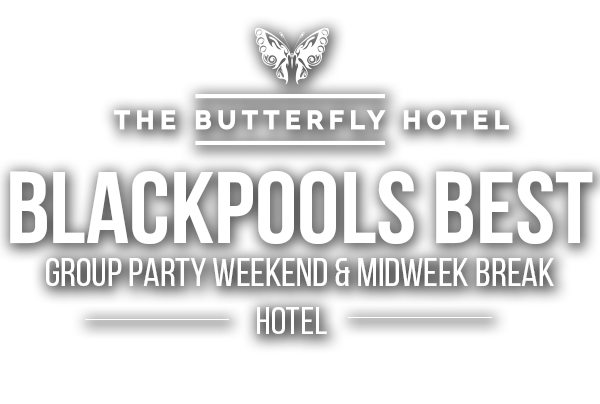 The Butterfly Hotel has all the facilities to ensure your Blackpool Break is perfect down to the last detail.